The name of the city literally means "sunshine". The city is known for its sustainability, and it mandates solar-water heaters in all new buildings. Rizhao city was recognized by the United Nations as one of the most habitable cities in the world in 2009. The city population stands at 2,801,100 as of the 2010 census. Out of those, a little over 865,000 people live in the urban area of Donggang district. Rizhao is located at the place where the ancient Dawenkou culture and the Longshan culture flourished. Rizhao belonged to the Dongyi people during the Xia and Shang dynasties (2070-1046 BC), and to Ju and Yue states in the Spring and Autumn period (770-476 BC) and the Warring States period (476-221 BC). It became a part of Langye Commandery in the Qin dynasty (221-206 BC). Rizhao was named Haiqu County (海曲县) during the Western Han (206 BC-25 AD) and Xihai County under the Eastern Han (25-220 AD). During the Tang dynasty, together with Ju County, Rizhao belonged to Mi Prefecture of Henan Prefecture. In the second year of the Yuanyou Period of the Song dynasty, Rizhao Township was established, with the name meaning "(the first to get) sunshine". In the 24th year of the Dading Period of the Jin dynasty, Rizhao County was established. 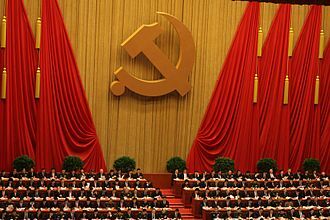 In 1940 it came under control of the Communist Party of China. After being a county and since 1985 a city under administration of Linyi, Rizhao became a prefecture-level city within Shandong province in 1989. The Field Museum of Natural History in Chicago has done field survey archaeological work in Rizhao over years. 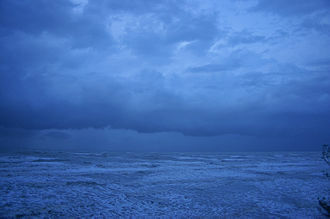 Rizhao has a temperate, four-season, monsoon-influenced climate that lies in the transition between the humid subtropical (Köppen Cwa) and humid continental (Köppen Dwa) regimes, but favouring the former. Winter is cool to cold and windy, but generally dry, with a January average of −0.3 °C (31.5 °F). Summer is generally hot and humid, but very hot days are rare, with an August average of 25.7 °C (78.3 °F). Due to its proximity to the coast and being on a peninsula, it experiences a one-month delayed spring compared to much of the province. Conversely, autumn is milder than inland areas in Shandong. The annual mean temperature is 12.95 °C (55.3 °F). On average, there are 2,530 hours of bright sunshine annually and the relative humidity is 70–74 %. The prefecture-level city of Rizhao administers four county-level divisions, including two districts and two counties. Disputed islands with Lianyungang in Jiangsu. The city now mandates the incorporation of solar panels in all new buildings, and oversees the construction process to ensure the panels are correctly installed. The effort to install solar water heaters began in 1992. As of 2007, 99 percent of households in the central districts use solar water heaters, and most of the lighting and traffic signals are powered with photovoltaic solar power. In 2007 the city had over a half-million square meters of solar water heating panels, which have effectively reduced conventional electricity usage by 348 million kilowatthours per year. The city has been designated as the Environmental Protection Model City by China's SEPA, and is consistently listed in the top 10 cities for air quality in China. Rizhao features a major seaport, located approximately 620 km (390 mi) north of Shanghai, 170 km (110 mi) southwest of Qingdao, and 120 km (75 mi) north of Lianyungang. The seaport serves as a site for loading and unloading iron ore and coal. Other products passing through the harbour include cement, nickel, bauxite, and the like. In 2011 the Port of Rizhao, together with the cities of Qingdao, Weihai and Yantai in Shandong, signed a strategic alliance with Busan, the largest port of the Republic of Korea. The alliance aims at building a shipping and logistics center in Northeast Asia. 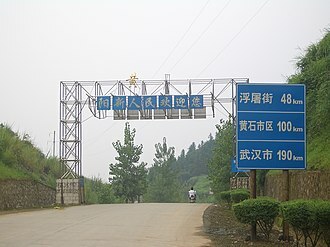 The new iron ore port of Lanqiao is located close to it as is the Lanshan port region. Rizhao Shanzihe Airport (日照山字河机场) (IATA: RIZ) is an airport serving the city of Rizhao. The airport received approval from the State Council and the Central Military Commission in October 2013. It is located in Houcun Town (后村镇), Donggang District. It was opened on 22 December 2015. Since becoming a city, Rizhao has seen a big growth in the number of universities and colleges, all of which are located in or near the University City (大学城) of Donggang District. ^ "Four Chinese ports ally with ROK's largest port". Marine News China. 29 September 2011. Retrieved September 14, 2012. Wikimedia Commons has media related to Rizhao. Wikivoyage has a travel guide for Rizhao. The Song dynasty was an era of Chinese history that began in 960 and continued until 1279. It succeeded the Five Dynasties and Ten Kingdoms period, coincided with the Liao and Western Xia dynasties and it was the first government in world history to issue banknotes or true paper money nationally and the first Chinese government to establish a permanent standing navy. This dynasty saw the first known use of gunpowder, as well as the first discernment of true north using a compass, the Song dynasty is divided into two distinct periods and Southern. 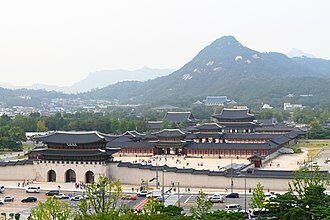 During the Northern Song, the Song capital was in the city of Bianjing. The Southern Song refers to the period after the Song lost control of its half to the Jurchen Jin dynasty in the Jin–Song Wars. During this time, the Song court retreated south of the Yangtze, the Southern Song dynasty considerably bolstered its naval strength to defend its waters and land borders and to conduct maritime missions abroad. To repel the Jin, and the Mongols, the Song developed revolutionary new military technology augmented by the use of gunpowder, in 1234, the Jin dynasty was conquered by the Mongols, who took control of northern China, maintaining uneasy relations with the Southern Song. Möngke Khan, the fourth Great Khan of the Mongol Empire and his younger brother Kublai Khan was proclaimed the new Great Khan, though his claim was only partially recognized by the Mongols in the west. In 1271, Kublai Khan was proclaimed the Emperor of China, after two decades of sporadic warfare, Kublai Khans armies conquered the Song dynasty in 1279. The Mongol invasion led to a reunification under the Yuan dynasty, the population of China doubled in size during the 10th and 11th centuries. The Northern Song census recorded a population of roughly 50 million, much like the Han and this data is found in the Standard Histories. However, it is estimated that the Northern Song had a population of some 100 million people and this dramatic increase of population fomented an economic revolution in pre-modern China. The expansion of the population, growth of cities, and the emergence of a national economy led to the withdrawal of the central government from direct involvement in economic affairs. The Qin dynasty was the first dynasty of Imperial China, lasting from 221 to 206 BCE. The strength of the Qin state was increased by the Legalist reforms of Shang Yang in the fourth century BC. It is the shortest dynasty in Chinese history, lasting only 15 years with two emperors, Qin administration was by no means purely punitive, and was not harsher than was generally prevalent at the time. Though often anathema to Legalist philosophy and its values too coexisted with Legalism during the reign of the First Emperor, Qin administrative documents considered such matters as filial piety, and one circulated letter reads that The purpose of all standards. Is to teach and lead the people, rid them of dissoluteness and depravity. during its reign over China, the Qin sought to create an imperial state unified by highly structured political power and a stable economy able to support a large military. This allowed for the construction of projects, such as a wall on the northern border. For years, local rulers built walls along Chinas northern border to protect their villages from invaders, Three hundred thousand peasants and convicts were forced to work on this 1,400 mile wall. The Qin dynasty introduced reforms, currency and measures were standardized. 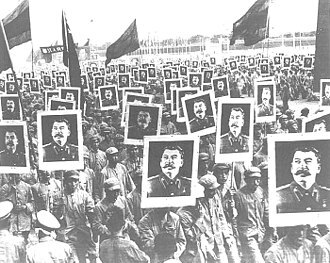 The Qins military was revolutionary in that it used the most recently developed weaponry, transportation, an attempt to restrict criticism and purge all traces of old dynasties led to the supposed burning of books and burying of scholars espoused by Confucians. Despite its military strength, the Qin dynasty did not last long, the advisors squabbled among themselves, resulting in both their deaths and that of the second Qin emperor. Popular revolt broke out a few later, and the weakened empire soon fell to a Chu lieutenant. Despite its rapid end, the dynasty influenced future Chinese empires, particularly the Han, in the 9th century BC, Feizi, a supposed descendant of the ancient political advisor Gao Yao, was granted rule over Qin City. The modern city of Tianshui stands where this city once was, during the rule of King Xiao of Zhou, the eighth king of the Zhou dynasty, this area became known as the state of Qin. In 897 BC, under the regency of Gonghe, the became a dependency allotted for the purpose of raising and breeding horses. 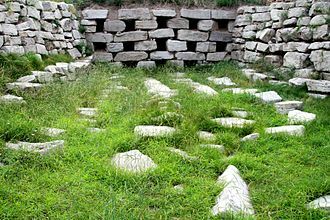 Its original capital was a site near Mount Kuaiji, after its conquest of Wu, the Kings of Yue moved their court north to the city of Wu. 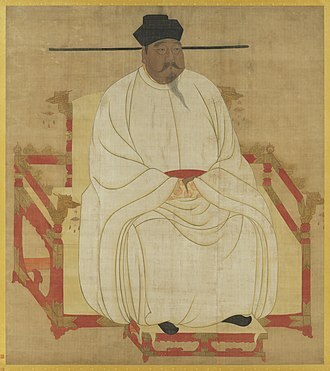 According to Sima Qian, Yues rulers claimed to be descended from the Xia emperor Yu, the name Yue was applied indiscriminately to many southern Chinese peoples throughout classical Chinese texts. A specific kingdom under their name in modern Zhejiang is not mentioned until it began a series of wars against its northern neighbor Wu in the late 6th century BC, with help from Wus enemy Chu, Yue was able to be victorious after several decades of conflict. 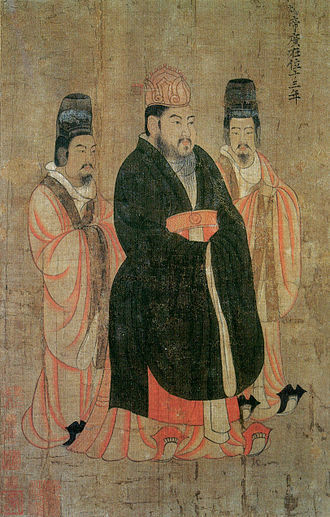 King Goujian destroyed and annexed Wu in 473 BC, competing against the fewer, more powerful Warring States, Yue did not fare as well. 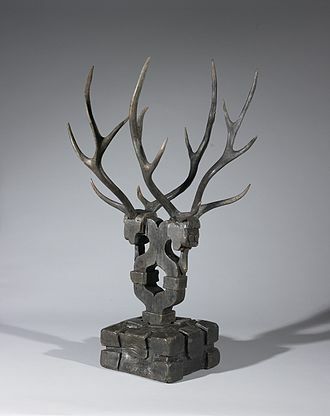 During the reign of Wujiang, six generations after Goujian, Yue was destroyed and annexed by Chu in 334 BC, during its existence, Yue was famous for the quality of its metalworking, particularly its swords. Examples include the extremely well-preserved Swords of Goujian and Zhougou, the Yue state appears to have been a largely indigenous political development in the lower Yangtze. The first archaeological find of this culture took place at the Chengziya Archaeological Site in 1928, with the first excavations in 1930 and 1931. 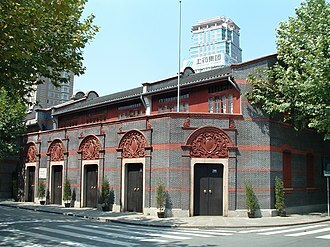 The culture is named after the modern town of Longshan in Zhangqiu. The culture was noted for its polished black pottery. The population expanded dramatically during the 3rd millennium BC, with settlements having rammed earth walls. It decreased in most areas around 2000 BC until the area evolved into the Bronze Age Erlitou culture. A distinctive feature of the Longshan culture was the level of skill in pottery making, including the use of pottery wheels. 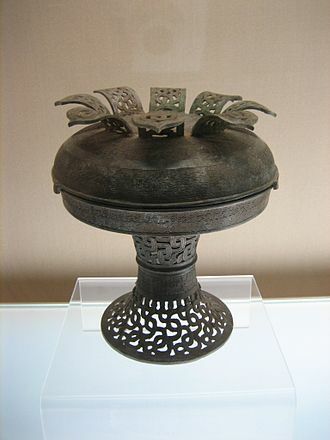 This pottery was widespread in North China, and found in the Yangtze River valley, until the 1950s, such black pottery was considered the principal diagnostic, and all of these sites were assigned to the Longshan culture. For example, the culture of the lower Yangtze area is now described as the Liangzhu culture. At the same time, researchers recognized the diversity within the Yellow River valley by distinguishing regional variants in Henan and Shaanxi from the Shandong or classic Longshan. Also in the 1980s, Yan Wenming proposed the term Longshan era to encompass cultures of the late Neolithic across the area, the most important crop was foxtail millet, but traces of broomcorn millet and wheat have been found. Rice grains have been found in Shandong and southern Henan, specialized tools for digging and grinding grain have been recovered. The most common source of meat was the pig and goats were apparently domesticated in the Loess Plateau area in the 4th millennium BC, found in western Henan by 2800 BC, and spread across the middle and lower Yellow River area. Dogs were eaten, particularly in Shandong, though cattle were less important, small-scale production of silk by raising and domesticating the silkworm in early sericulture was known. Remains have been found in Shaanxi and southern Henan of scapulae of cattle, sheep, evidence of human sacrifice becomes more common in Shaanxi and the Central Plain in the late Longshan period. 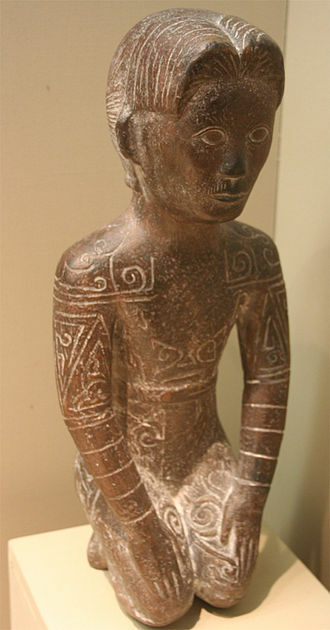 Excavations in the 1950s in Shanxian, western Henan, identified a Miaodigou II phase transitional between the preceding Yangshao culture and the Henan Longshan, some scholars argue that the late Dawenkou culture should be considered the early phase of the Shandong Longshan culture. Prefectural level cities form the second level of the administrative structure. Administrative chiefs of prefectural level cities generally have the rank as a division chief of a national ministry. Since the 1980s, most former prefectures have been renamed into prefectural level cities, a prefectural level city is a city and prefecture that have been merged into one unified jurisdiction. 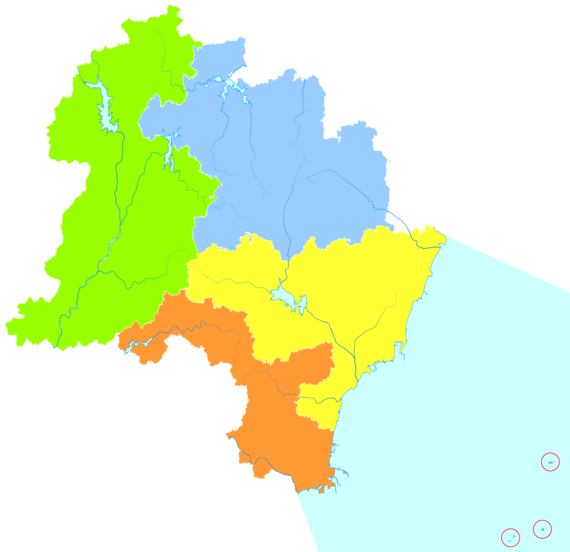 The larger prefectural level cities span over 100 kilometres, prefectural level cities nearly always contain multiple counties, county level cities, and other such sub-divisions. To distinguish a prefectural level city from its urban area. 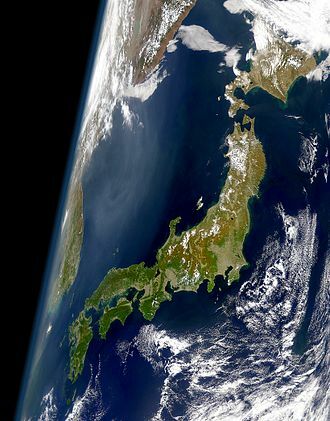 The first prefectural level cities were created on 5 November 1983, over the following two decades, prefectural level cities have come to replace the vast majority of Chinese prefectures, the process is still ongoing. Most provinces are composed entirely or nearly entirely of prefectural level cities and Zhengzhou are the largest prefectural level cities with populations approaching or exceeding some sub-provincial cities. A sub-prefecture-level city is a city with powers approaching those of prefectural level cities. There are total of three classification of prefecture-level city, Regular prefectural level city which consist of counties, county level cities, consolidated district-governed prefectural level city which only consist of districts as it subdivisions. Thus, Indiana is indicated on the map by a point, which is distinct from, and enclosed by, in China, large cities such as City of Xianning may, in reality, contain both urban and rural elements. 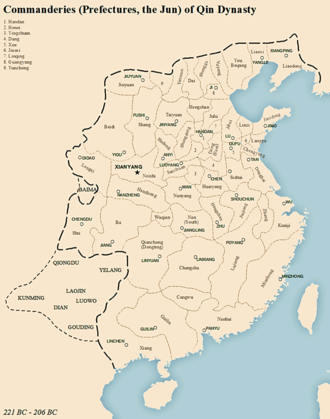 Moreover, they may enclose counties or other cities, on a less detailed map, City of Xianning would be indicated by a point, more or less corresponding to the coordinates of its city government. 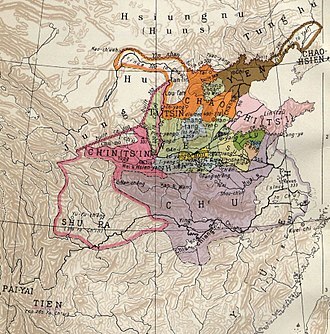 Other populous areas may be exhibited as points, such as County of Tongshan, with no indication that County of Tongshan is, in fact, enclosed by City of Xianning. On a more detailed map, City of Xianning would be drawn as an area, similar to a county of the United States and this convention may lead to difficulty in the identification of places mentioned in older sources. Linyi is a prefecture-level city in the south of Shandong province, China. The city Linyi literally means close to the Yi River, the city recently expanded along the Yi River to Nanfang, under slogan Grand Linyi, New Linyi. Multiple recreational parks were built, along with new school campuses etc, the development is a consequence of a series of governmental projects, including relocate the city government, which is expected to stimulate the economy. The population was 10,039,440 at the 2010 census, of which 2,303,648 lived in the area made up of Lanshan District, Luozhuang District. The prefecture-level city of Linyi administers 12 county-level divisions, including 3 districts and 9 counties, the city is further divided into 181 township-level divisions. Linyi has a history of 2400 years and it is home to many historical figures, notably Zhuge Liang and Wang Xizhi. In 1972, the Sun Bins Art of War was first discovered here, Sun Bins Art of War is currently in display at Shandong Provincial museum. In the spring of 1938, during the Second Sino-Japanese War, the civilians were encouraged by army victory in the Battle of Taierzhuang, which was nearby, defended Linyi fiercely, but Japanese soldiers breached the walls on April 19,1938. The defenders withdrew the day to another contested area 30 miles away. 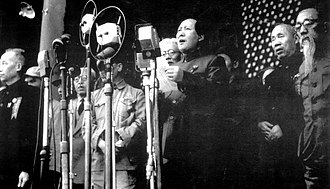 After the China was founded in October 1949, the division was adjusted. In 2005, Linyi drew international attention as a center of human rights related to the enforcement of Chinas controversial family planning policies. Following widespread allegations of violence and coercion in excess of Chinese law, the local Chinese courts refused to hear the case and imprisoned Chen Guangcheng on charges of fomenting state resistance. Due in part to the severity and scope of these abuses Linyi has been used by activists to criticize Chinas violation of womens rights, Linyi is in the south of Shandong province, not far from the ports of Rizhao, Lanshan District and Lianyungang. It is along the G2 Beijing–Shanghai Expressway as well as the Eurasian Land Bridge, the urban area lies on mostly flat land that gives way to more rugged terrain in the west and northwest of the citys administrative area, which covers 17,184 km2.